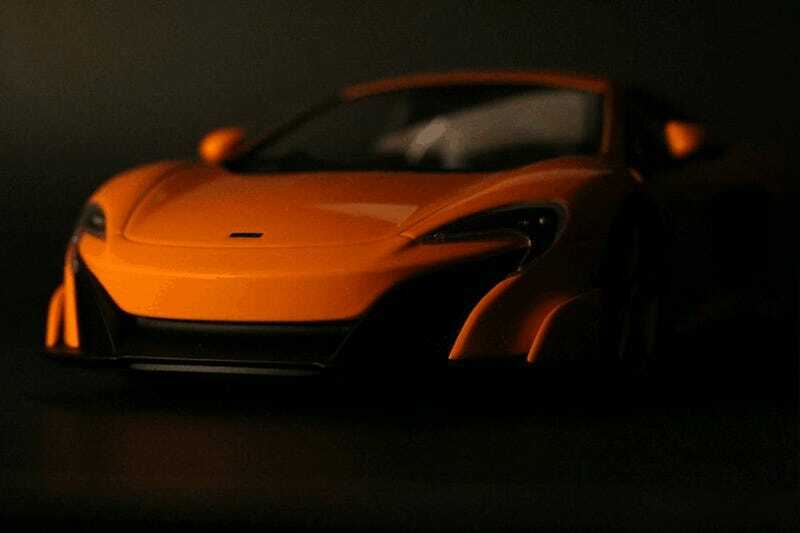 This is the McLaren 675LT in 1:18 from Kyosho’s Ousia line. It’s not resin, but a sealed diecast model. What does that mean exactly? 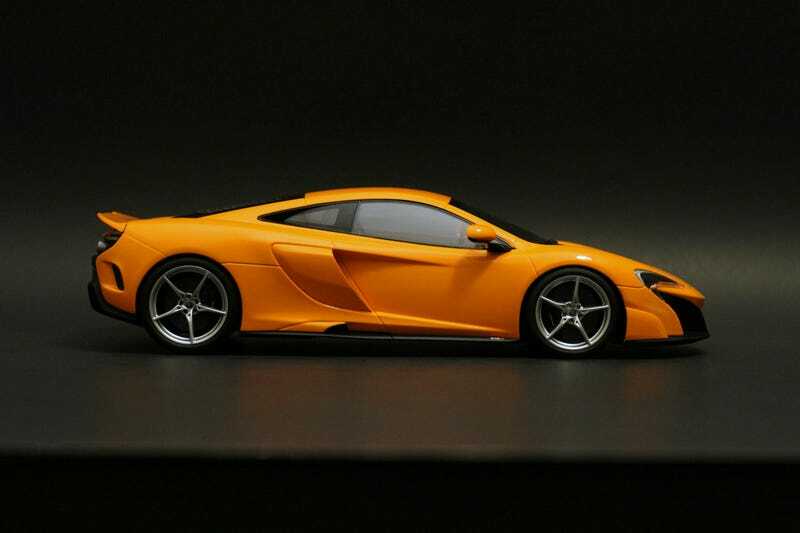 Kyosho decided to compromise with the diehard diecast enthusiasts who are resisting the resin take-over. High levels of detail, fit, and finish that you’d expect from Kyosho but none of the opening bits to drool over. All of this in the name of price. The Macca is incredibly detailed, with real mesh, flawless paint, and perfect proportions. The body is all metal, but the trade-off is no opening engine compartment, turning wheels, or the worst part, no glorious opening butterfly doors. You may recall seeing this model last July, showcased by Androoo in white, so I won’t repeat too much of what he said. My model is the reciprocal of his; in iconic papaya orange with silver wheels. Right now, these are the only two colors in Kyosho’s catalog. There are resin models out there from Top Speed in Matte Grey and they recently released the Spider variant in gold and green. As a kid growing up, the McLaren F1 was the king of cars and I dreamed everynight of becoming a weathly business man so I could own one someday. Needless to say I was very excited as an adult when McLaren finally produced their own road car once again, the MP4-12C. I personally didn’t care for the design of the 12c’s replacements; the 540C and 570S, and even the 650 didn’t get me all that excited. To be completely honest, even the P1 doesn’t do it for me. Orange is somewhat tricky to photograph, I really should invest in some better light bulbs.